The advent of technology and globalization had brought enormous changes in the world. Technical advancement happened in television channels gave viewers an opportunity to watch a number of channels in just a remote click. It is also predicted that the next couple of decades is foreseen as an era of acceleration in Malayalam TV industry with more channels expected to reach our homes. The year 2014 will witness the arrival of a long line of channels aiming to entertain the spectators. Janam TV, TV News and Sakhi TV are few among them which are gearing up to get unveiled. 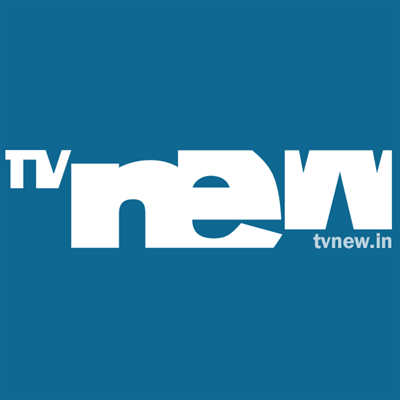 TV New, with an innovative approach towards journalism, TV New aims to put forward ideas and perspectives which can shape a better present and future. The channel focuses on a range of stories across Markets, Economy, Science, Technology, Medicine and the Environment. The channel will bring exclusive stories on socio-economic misdeeds, untold political scandals, radical new commercial ideas and also the people behind it. With the presence of nonresident Keralites in gulf countries, TV New too aspire to take the advantage over the overseas market. Well backed by the Kerala Chamber of Commerce and Industry (KCCI) and India Middle East Broadcasting Network Pvt. Ltd, TV New aim to become the most credible source of news and opinion with investigative reports which are backed by a strong and dedicated community of insight co-creators. TV New blended with professional media experts and eminent business organizations will be a trendsetter in the South Indian television industry. The channel will focus on a variety of programmes like news on business, knowledge and economical development of Kerala. This channel is helmed by Bhagat Chandrashekar who is much popular as one of Kerala's pioneering investigative television journalist. Bhagat currently serves as the Chief Executive Officer (CEO) of TV Now. The channel is also blessed with experienced and experts who have made their name working in the media for years. Completely dedicated to create a vibrant economy, a healthy environment, a fresh value system and a new age social order, the channel aims to instigate the process of transforming the lives and life-styles of Keralites. Aggressively positive, growth and development oriented and with a global perspective, TV New will be a new-fangled experience for the viewers. A 12,000 square feet studio situated at Ernakulam will bring the latest happening from different parts of the world. The main highlight of the studio floor include HD technology with Dolby sound track, well connected high-end news rooms and 360-degree studio, and outstanding screen layout, graphics, image and fonts. The channel can be accessed at anytime through all the modern gadgets including smart phones, tablets, laptops or any other tech device.